Happy Tuesday friends! Can’t believe October is almost over and we are almost into November. Fall is definitely in full swing! 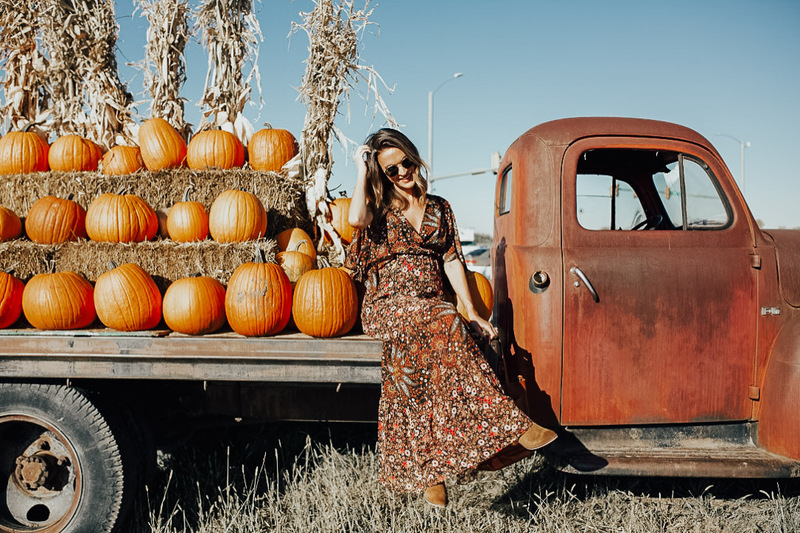 Today I wanted to talk about a couple of trends I’m loving for fall and how you can incorporate them into your wardrobe without breaking the bank. It’s always fun to see which trends are in style each season and to be creative about working them into your look. For the most part, I like to keep my wardrobe timeless and classic, but I absolutely love trying to add a few trendy touches to my outfits, too. 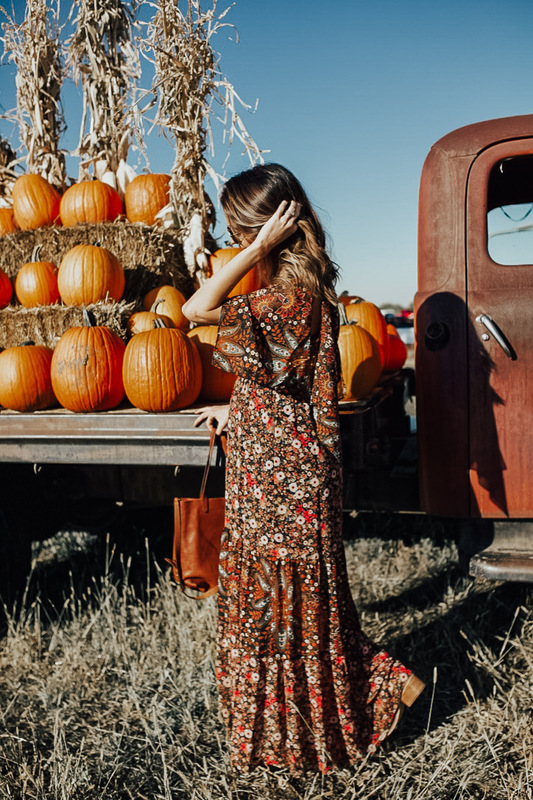 I’ve said this before, but fall is absolutely my favorite season for SO many reasons, but the fashion is at the top of the list! I think it’s easy to hear the word ‘trendy’ and think that means dressing out of your comfort zone or buying things you’ll only wear once or twice. And to be honest, I’ve made those mistakes in the past; it’s the worst! But over time I’ve come to learn the way to authentically incorporate on-trend pieces into your outfits, while still feeling confident and like yourself. So today I want to talk more about how I do that and which trends have been giving me all of the heart eyes this season! 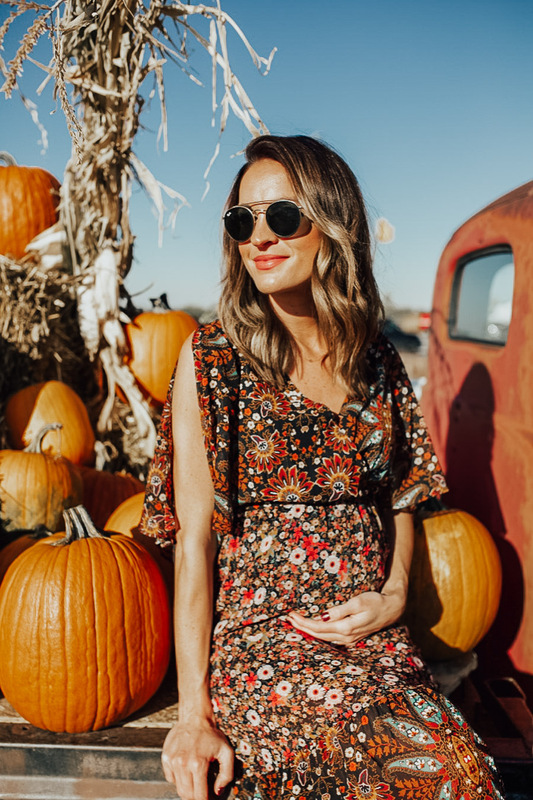 Today’s dress is the perfect example of some fall trends I’ve been obsessed with lately. When I saw this floral dress online, I wasn’t totally sure I could pull it off. I seriously loved it – the silhouette, the statement sleeves, the fall color palette, all of it. But I didn’t want the dress to wear me, if that makes sense. I ordered it and the moment I put it on, I instantly fell in love! It has a very flattering fit (and is bump-friendly) and can easily be dressed up or down. I wore it to the pumpkin patch a few weeks ago (another favorite part about fall! ), but I think it would also work really well for a fall wedding or even Thanksgiving dinner. I love that it has a subtle boho look to it, but it still looks feminine and put together. And it’s such a good price too! 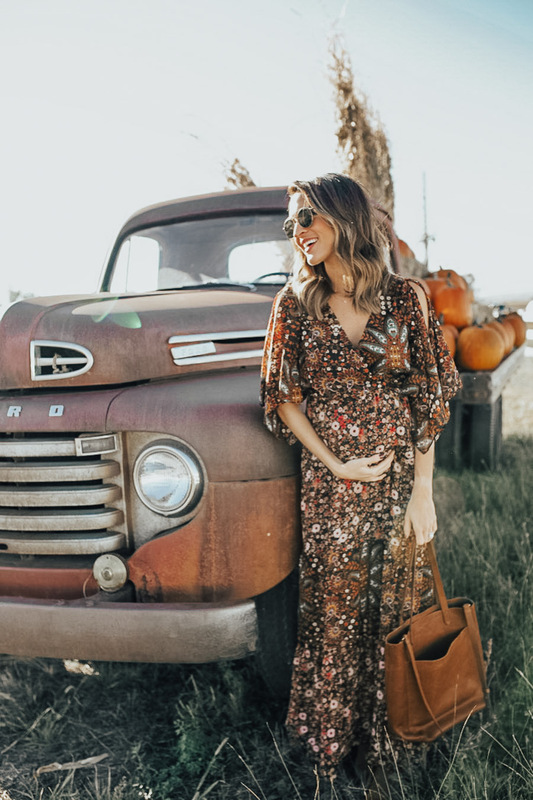 Florals are definitely a big trend this fall and one that I’m personally loving. 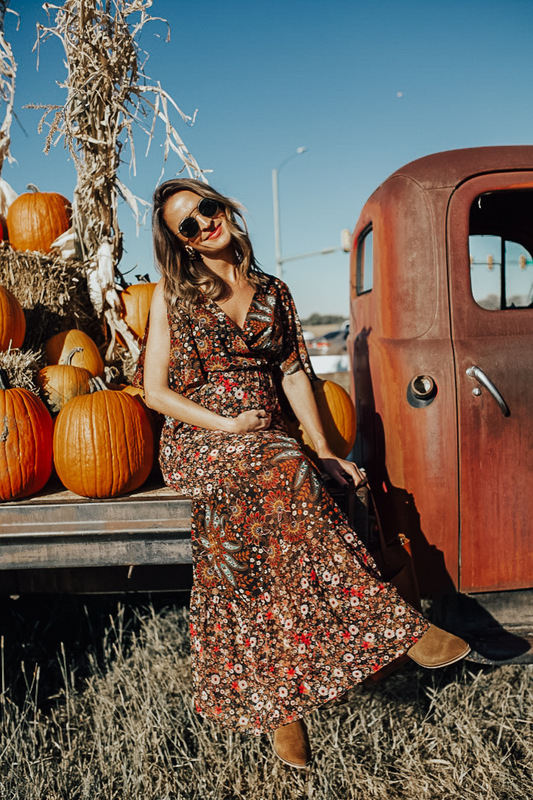 Fall florals are so pretty because they have a warmer color palette and just such a beautiful, seasonal look to them. 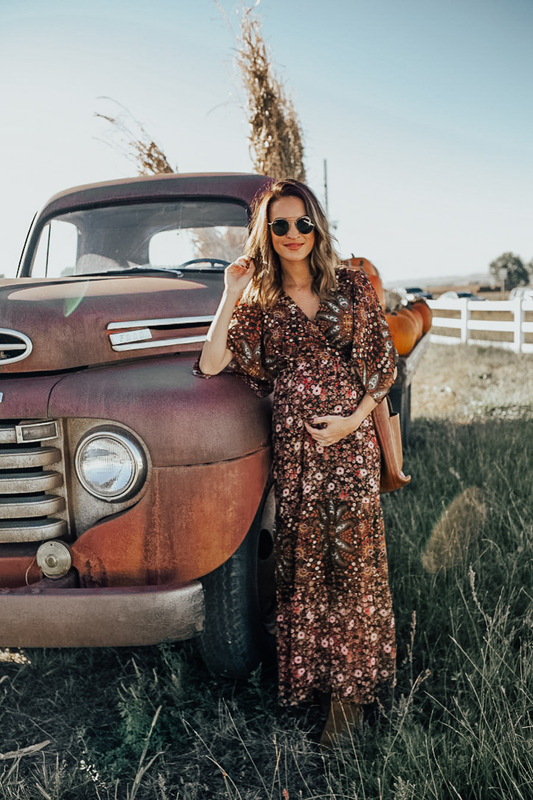 Whether it’s a maxi dress like the one I’m wearing today or just a floral print blouse over leggings, it’s such an easy trend to incorporate everyday and still feel like yourself. Another trend I’ve seen a lot of this season is the statement sleeve. You’ve probably seen it too – bell sleeves, ruffle sleeves, etc. I love it because it’s just a touch of trendiness and it adds a little flare to an otherwise simple sweater or dress. 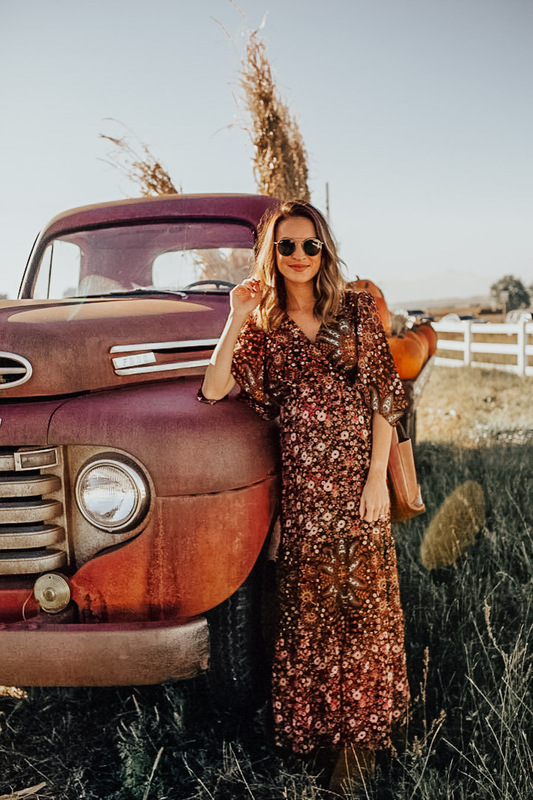 That’s anther thing I love about this floral dress – the slit in the sleeves. It’s understated, but such a fun little accent to the dress. Also rounded up some more statement sleeves I think y’all would like! If you read this post, you know that I’ve been shopping Wal-Mart more and more these days. Not only do they have everything, but I feel like their clothing department just keeps getting better! 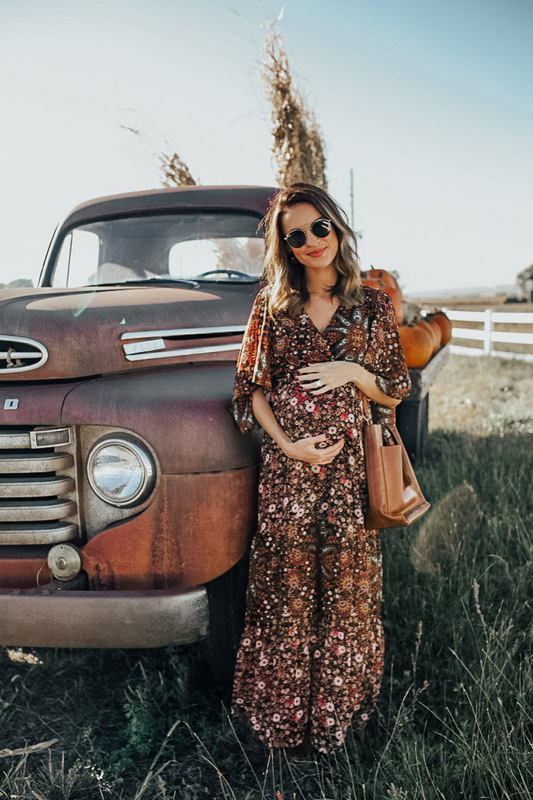 It’s a great place to find cute, budget-friendly pieces for every season. So if you’re wanting to try more on-trend pieces but you don’t want to spend too much, Wal-Mart really is such a great option! 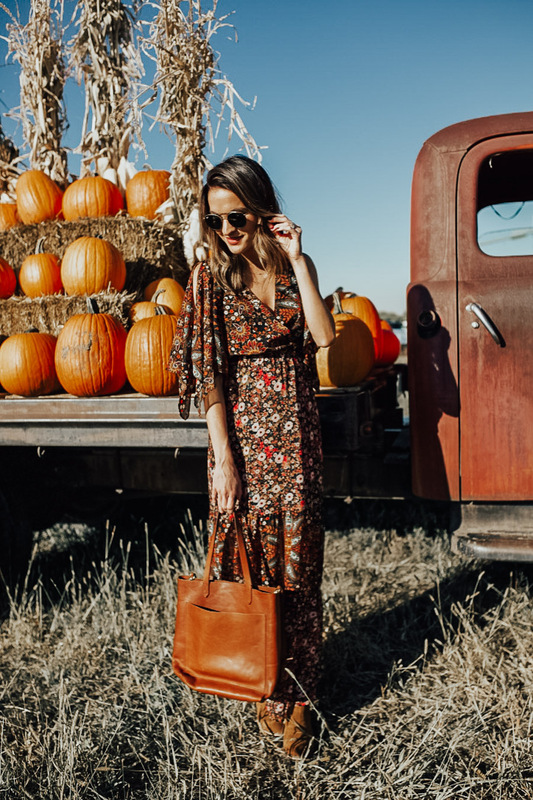 What fall trends are you loving this season? There are seriously so many good ones, but I want to know y’alls favorites. Let me know in the comments! This post was created in collaboration with Wal-Mart. As always, all thoughts and opinions are my own. « fall beauty products I’m loving!